You have probably come across this amazing fruit. Mangosteen (Garcinia mangostana), is a tropical fruit common in Philippines, Thailand, Malaysia, and other neighboring Asian countries. This fruit has a rather unique appearance that makes it stand out from its other rivals. 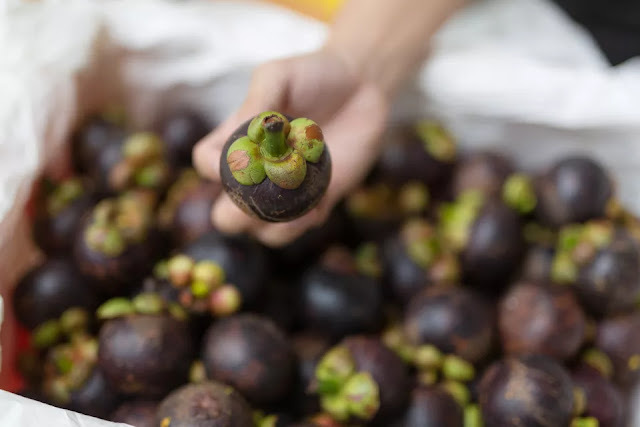 Some people, especially in the Oriental region, also consider it as the "Queen of the Tropical Fruits"
Mangosteen's appearance and taste are not the only things this fruit is known for. The looks of it may seem underwhelming but the benefits it can do for our health are surprisingly incredible! One of the numerous wonders of the mangosteen fruit is its potential use for treating certain types of cancer. Scientists in China found that the Xanthone derivative garcinone E shows inhibitory effects for cancer growth. In a more recent study at the University of Okinawa in Japan, they saw that mangosteen's natural enzymes impede the development of some tumors in our body. The pericarp or the rind of this fruit is also known to contain nutrients which can suppress the cancer cells in the body. Although there are not enough therapeutic claims for this wondrous fruit, people who have tried including mangosteen in their diet can attest that they have experienced general well-being because of it. Mangosteens contain 12% of RDA per 100g of Vitamin C. This vitamin gives us resistance against diseases caused by certain kinds of infections. Consumption of fruits which have high Vitamin C content would surely help us especially our immune system. Consuming mangosteen and adding it to your diet will help in reducing the level of cholesterol in our body. Triglycerides, a type of fat in our blood, can also be controlled which is good for taking care of our hearts. Furthermore, mangosteen can also help in improving the blood flow in our body due to its natural properties that can dilate our blood vessels. It also helps prevent the formation of plaques which may clog arteries. Thinking about eating a lot of the mangosteen fruit? There is no need to worry for this fruit contains no saturated fats or cholesterol and is rich in dietary fiber. Mangosteen has natural properties which have the potential to control the inflammatory conditions of the brain. 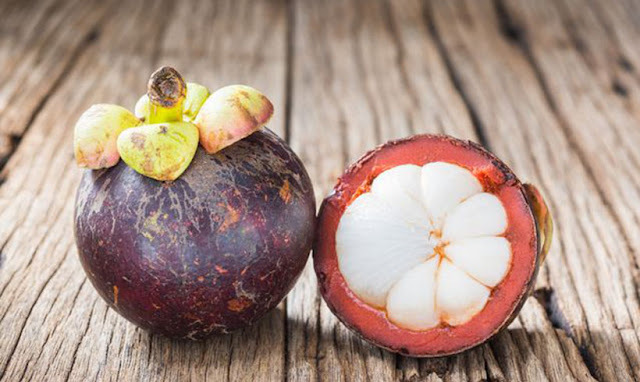 Japanese scientists pointed out that they discovered gamma-mangostin, which has potent anti-inflammatory effects on the brain's structural cells. At present, mangosteen is also commercially produced as teas or capsules and serve as a natural food supplement. This makes it easier for us to enjoy this nature's gift to us.